Launched today (January 6, 2011), the GSS6400 can gather GPS L1 signals under field conditions and recreate these back in the laboratory. This supports the design of GPS products, which can be tested in challenging signal environments such as urban canyons, under bridges, in steep terrain, indoors, and under foliage without the need to return to the field. According to Spirent, the GSS6400 uses two-bit rather than one-bit sampling to increase the fidelity of the captured data including the gather fades and dynamics manifested by of the signals in space in real-world environments. 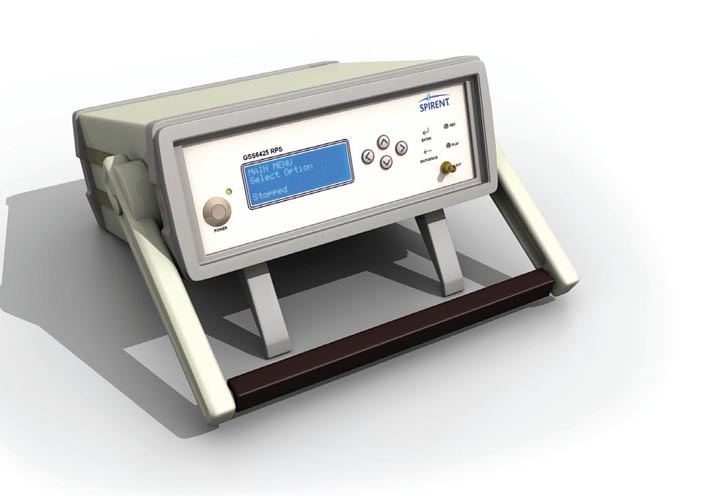 The RPS is thus designed to reduce the uncertainty and expense of field testing by eliminating differing sky signal conditions typical of live network testing. As a self-contained unit, the RPS can operate on 12–16 volt DC power for up to an hour using an internal battery while being controlled directly from the front panel keypad or by means of a Internet browser remote control. Sampled data is written at speeds of up to four megabytes onto the built-in, Serial Advanced Technology Attachment (SATA) 500GB hard disk drive. During playback the system upconverts the sampled data to the 1575.42 MHz L1 frequency. An oven-control crystal oscillator (OCXO) provides a stable L1 frequency and accurate data playback to preserve the code/ carrier relationships of the original recorded signal, according to Spirent. The OCXO can be locked to an external 10 MHz source for increased accuracy. 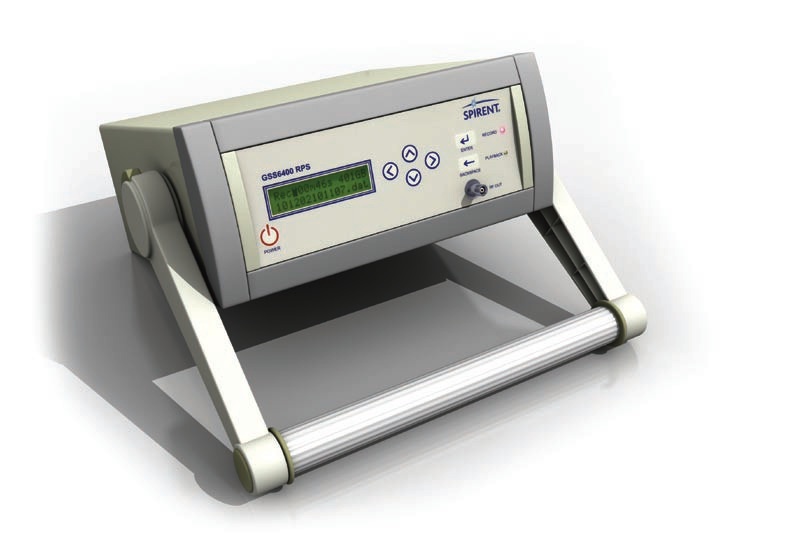 Adding a record and playback system to its product mix probably has a tactical competitive element, too, by helping Spirent defned its GNSS laboratory test and design franchise in the face of growing competition by other RPS and GNSS test equipment vendors such as LabSat, Averna, and National Instruments.